In DoLeague we are very pleased to announce this update. We are very proud of it and confident that you too will like it. With this new version, the basic functions that any league or tournament may need are complete. From now on, you can use the new and shiny topscorers – or any other statistic we use – that you wished for so long. You can also give sanctions and bonuses to teams in a league, and there is much more. Read on to see everything that has been incorporated into this new version 3.5.0. Topscorers. Finally you count with a list of individual statistics for a championship. You may access to the list of top players in each of the six statistics that are shown in the record of your games from the league ranking page . Find out who is the top scorer of the competition or who has received more expulsions, or if your thing is LoL, who has more kills in games played. Sanctions and bonuses in leagues and ranking. Now the organizer can sanction the teams in a league with points (eg for not showing up to a game) or bonuses (eg for playing every game of a ranking). You can find it in a new admin tab called “Manage”. Reset results. Something that many of you had requested and finally is available. We all can make mistakes and now this is no longer a problem. The championship organizer can reset any result confirmed with just click. Watch out, if there is a round playoff with consolation tournament, this will affect the crossings but as always, the system takes care of everything for you. Simple results: many times we only want to organize a tournament without sets, and where the only important thing is who wins, not the number of games or the difference in the victory (yes, I’m looking at you, League of Legends). From this version on, you can set your championship with the simple results system. In these types of tournaments the results are simplified and you only have to point out who wins the game (or match) regardless of the outcome. Confirm all the results with a single click. When you manage an online tournament with hundreds of participants, it is quite common for organizers to meet more than 50 results to be confirmed within minutes, because participants are waiting for the second round of the tournament. With this new option, the administrator can confirm all pending results from its control panel in less than a minute. We know that many championships will appreciate this feature. Undo the end of a championship. It doesn’t happen every day, but we know that it may have happened to you. You have finished a championship by mistake and you need to unlock it. No problem, you can go back. 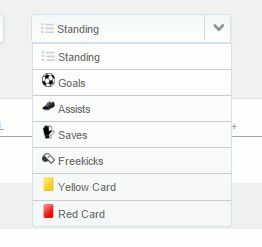 This option is available on the admin panel of the finished championship. Messages with news – and offers – from DoLeague. Messages and offers for championships organizers. If you’re a player and not an organizer you may not want to receive these emails. Messages related to Pro and Premium accounts. Only available for the Pro and Premium users. Notifications of games and championships in which you are involved. • Deleting account. We have added the possibility that any user can delete its account and personal data from DoLeague championships. We do not want to tie up anyone here, and although we’ll be very sad, we believe it should be just as easy to sign up as to cancel your account from the platform. From now on, any user can deleted its data without having to contact us. Remember, that this action will erase all your history, championships, games and your email from the database and you wont be able to login again without DoLeague signing up with a new account. Reminder: if you stop using Doleague for a while, we recommend you to disable notifications and leave the account active. No messages will be received and you’ll be able to login at DoLeague whenever you want without losing your history. With this update you can organize a league or a full football championship – or any sport you may think of – with all the basic features. We believe that saving management time and costs as well as providing benefits to participants make of DoLeague a complete solution for any club that need to organize a tournament. More than that, the simple result features and the ability to reset and confirm all the results with a single click, increases the capacity to manage massive online tournaments with hundreds of games played within very little time. If you still have doubts, remember that you can try all this for free at any time to organize a championship demo. And while you try it, we continue working on the next version – 3.6.0 – that will bring us a responsive design to all admin backoffice, for easy use on any device.